Need a vacation? 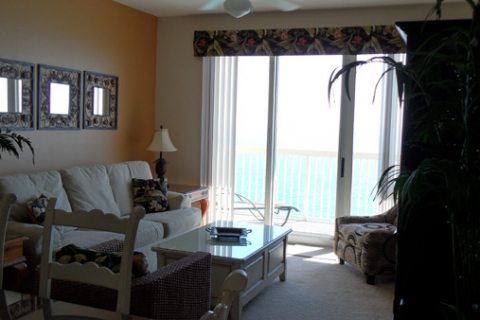 Why not relax on a beach front condo rental at the Calypso Resort in Panama City Beach, Florida? 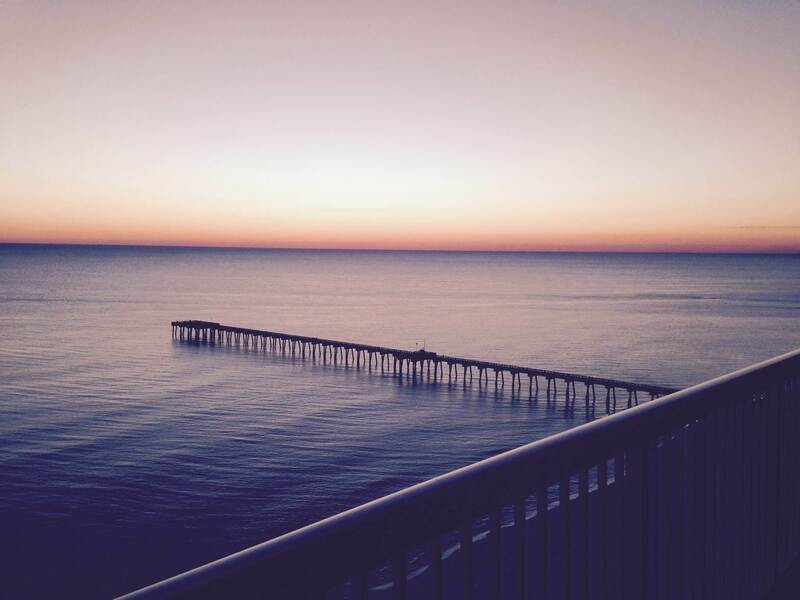 Our Condo offers the best view on the beach in Panama City Beach. 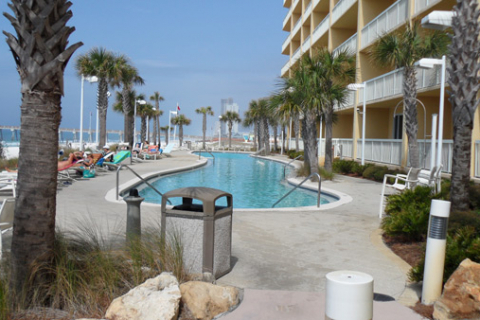 Calypso Resort Towers, Open Sands, Panama City Beach Area, North West, Florida, USA. 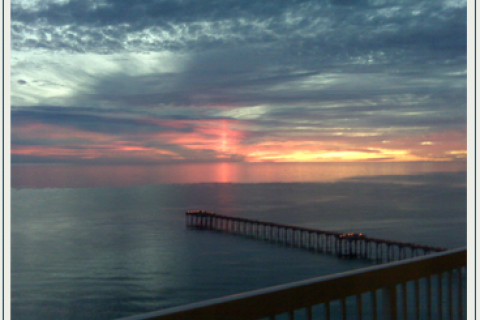 Panama City Beach - Calypso 21st Floor - Calypso First Class! 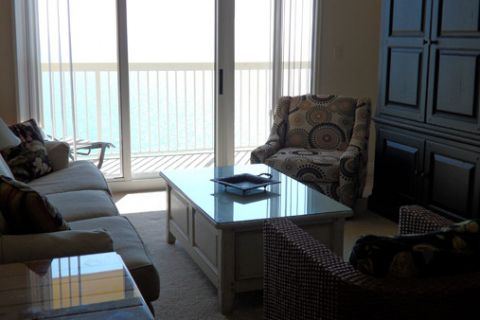 Breathtaking Ocean and Pool front Views from Your Master Suite and Living Room! Luxury Inside and Out! 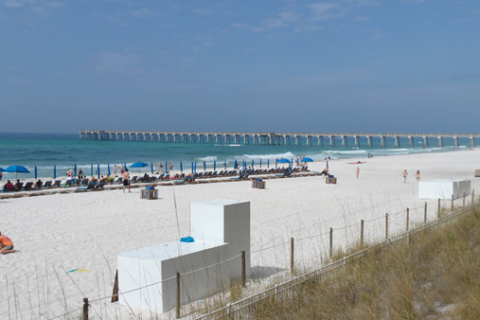 If you're tired of the hustle and bustle of everyday life, a Panama City Beach vacation rental in Panama City Beach could be exactly what you need to rejuvenate. Contact us to help you meet all of your vacations needs. Calypso's West tower is closest to SUNSET - Best Views! 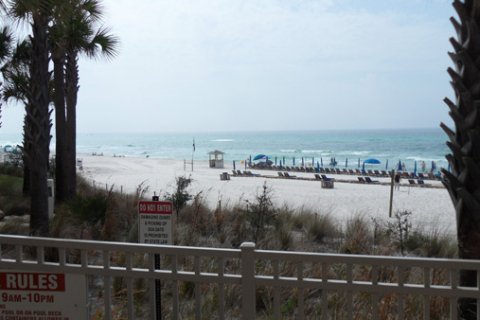 Your next-door-neighbor is open beach - soft sugar-white sand awaiting your footprints! Relax and enjoy the view from the 21st floor, with a tranquil and quiet setting. You will love the oversized balcony which overlooks the ocean and one of two wonderful 172' free-form pools (one heated to 85 degrees!). 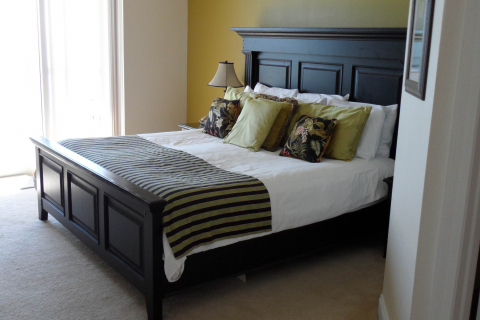 You don't even have to get out of bed to see and enjoy the ocean! 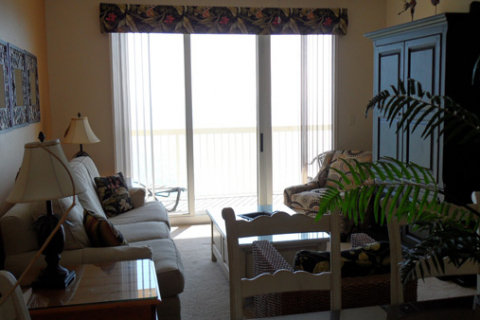 Let the sounds of the waves lull you to sleep! front bedroom, bunk beds in the front/bunk bedroom , and a queen sleeper sofa. Because your comfort is important to us, our unit is furnished with superior quality sheets, 300 thread count duvet covers, and 100% Pima cotton bath/hand towels. Your fully equipped kitchen is appointed with deluxe white cabinets and black-granite countertops, plus a separate wet-bar area. 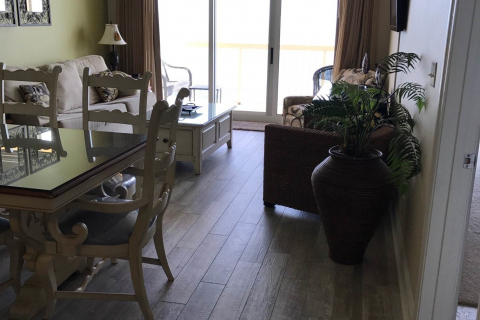 We have upgraded to full designer tile in the kitchen and hallway, with soft, plush wall to wall carpeting in the living room and three bedroom area. 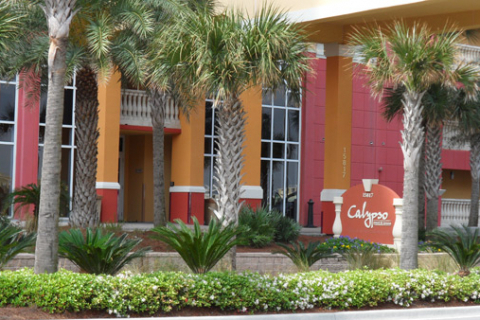 The Calypso Cafe (no affiliation with Calypso Resort) is just across the street. 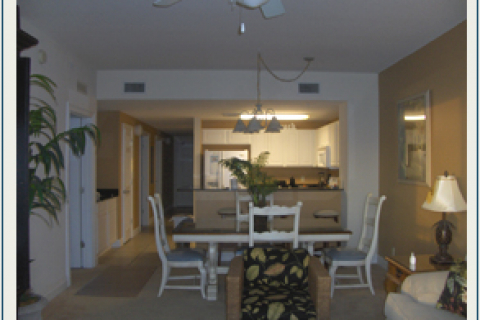 Menus are available in the condo. 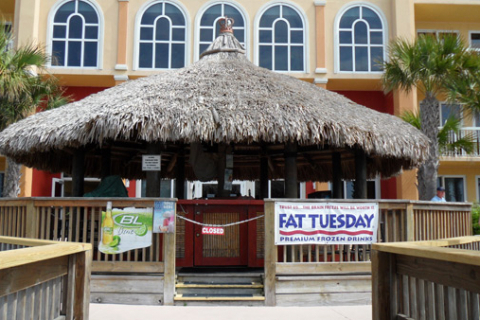 Within a short 3 minute walk across the street is the fabulous Pier Park, a 240 acre high-energy entertainment, dining and retail Hot-Spot for the entire family. Some of the stores and restaurants include Jimmy Buffet's Margaritaville, Back Porch Seafood House, Ron Jon Surf Shop, Dillards, JC Penney's, Old Navy, Borders, Bath and Body Works, Massage Envy, Target Superstore, Longhorn Steak House, Panera Bread, Starbucks, and the fabulous 16 Plex Movie Theatre!